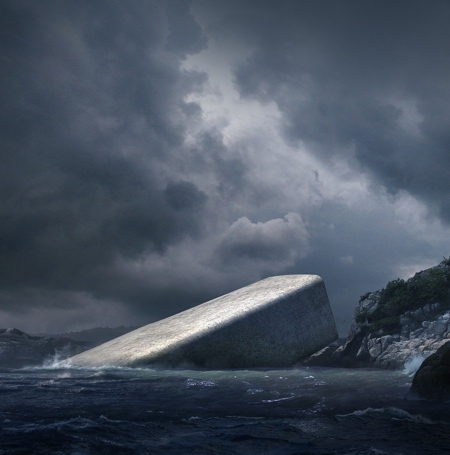 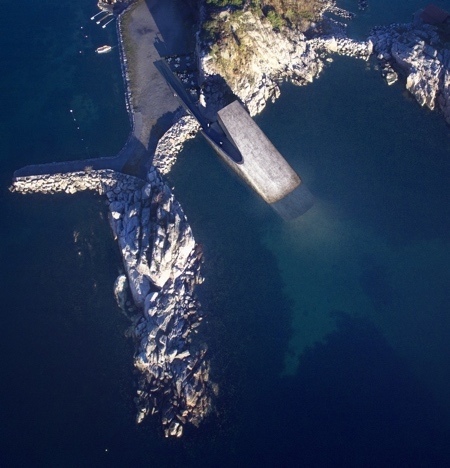 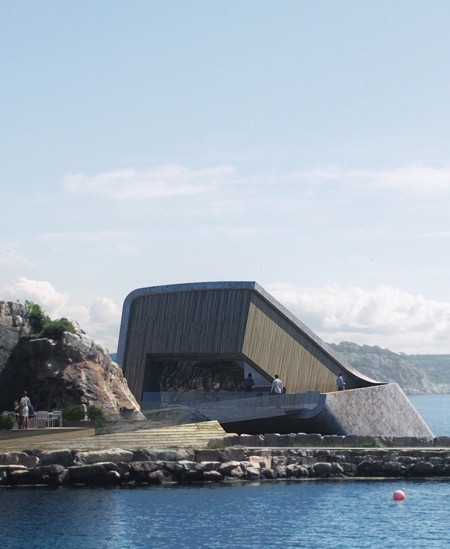 Europe’s very first underwater restaurant will be constructed in Baly, Norway. 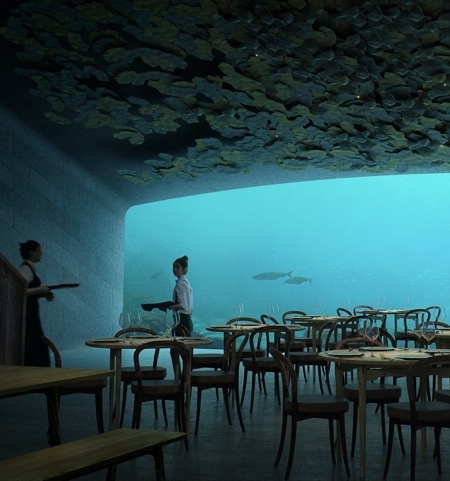 Underwater Restaurant with meter-thick concrete walls and giant acrylic windows designed by Snohetta. 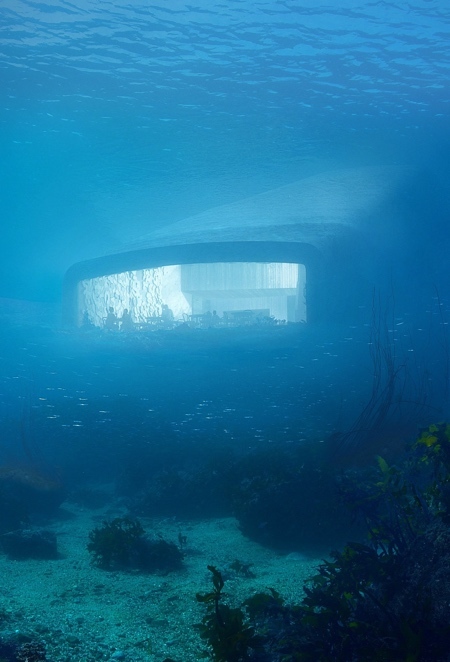 Scheduled to be completed in 2019, the restaurant building half-submerged into the sea will also function as a research center for marine life.